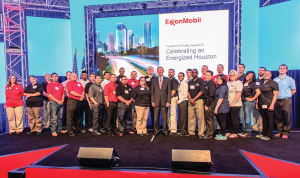 Students from 9 community colleges who received petrochemical scholarships from the Community College Petrochemical Initiative are shown with ExxonMobil President Steve Pryor. In terms that might be found in a farmer’s almanac, today’s Texas Gulf Coast economic expansion is at flood stage. ExxonMobil’s announcement on Aug. 22 of a multi-billion dollar build-out at its Olefins plant in Baytown drove home the point that much anticipated petrochemical expansions are now going full throttle. To date, petrochemical companies have announced more than $40 billion in capital investment. Major expansions are also underway or about to begin at Chevron Phillips Chemical Cedar Bayou, LyondellBasell, Enterprise Products, and Dow Chemical of Freeport. These projects alone are expected to create 30,000 construction jobs and more than a thousand permanent jobs. Toss in necessary expansions at the Port of Houston, increased storage and warehouse facilities up and down the Houston Ship Channel, and a surge of activity in barge, railroad, pipelines and other modes of transporting products and raw materials, and the economic outlook is bright for the next 10 – 15 years, industry leaders say. Rep. Gene Green of the Texas 29th Congressional District says today’s economic expansion surpasses even the 1970s. Van Long, plant manger at Chevron Phillips Chemical Cedar Bayou, signs a check which provides scholarship funds for students preparing for careers in the petrochemical industry. Yet high on the list of concerns for industry leaders is the need for qualified workers, an issue Lee College and other area community colleges are taking seriously. The build out of petrochemical expansions, plus the replacement of retiring workers, will require as many as 50,000 individuals with skills over the next five years. There is also a large demand for workers trained in logistics, warehousing and maritime occupations, such as tank and barge operators. Also in short supply are welders, analyzer technicians, instrumentation technicians, pipefitters, and maintenance operators, among others. 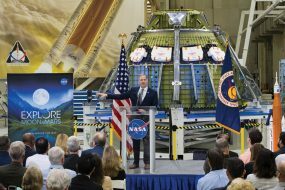 “If this economic engine is going to continue to grow,” says Todd Monette, plant manager for LyondellBasell, “we’re going to have to have a workforce that can build these plants and run them” well into the future. Lee College of Baytown is going all out to address today’s workforce training challenges. The college ranks fourth in the nation for science technology degrees, sparked in large part by graduates entering careers in refineries and chemical plants. The college has perhaps the most complete inventory of programs for the petrochemical and construction tradesindustries in the region, countingAnalyzer Technology, Computer Maintenance, Computer-Aided Drafting and Design, Electrical Technology, Engineering, Fieldbus Technology, Instrumentation, Logistics and Supply Chain Management, Machine Technology, Millwrighting, Pipefitting, Process Technology, Production Technology, and Welding among them. Lee College takes a multi-faceted approach to training the large number of workers needed for these expanding industries. The college works with its industry partners such as ExxonMobil, Chevron Phillips, Enterprise and Bayer to provide internships for students. 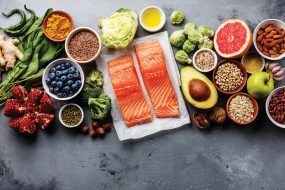 Internships help students work in “real world” situations and conditions, and “shore up” the training they receive in college classrooms and labs. In many cases, students who do well in an internship hire on with the company they work with. The college is extending its acclaimed petrochemical training into dual credit courses at area high schools Barbers Hill, Liberty, Hargrave, Crosby and Anahuac, and is planning a Career and Technical Education High School in the near future. Students now have the ability to graduate from high school nearly ready to enter lucrative careers in local industry. 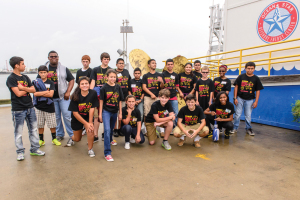 Energy Venture Camps introduce middle school students to careers in the petrochemical industry. With the average salary in the petrochemical industry at $99,700 annually, classes fill up quickly. Even so, the workforce needs of industry are greater than any one college’s ability to provide them. 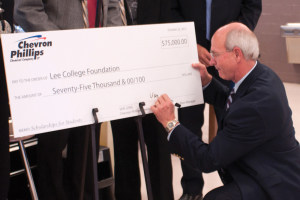 Lee College is the lead institution in the Community College Petrochemical Initiative (CCPI), which started with a $500,000 grant from ExxonMobil in 2013 to attract and train workers for the petrochemical and construction trades industries. The grant grew to $1 million with an additional gift by ExxonMobil in March 2014. CCPI brings together the nine community colleges of the Texas Gulf Coast to share best practices and resources and recruit the next generation of petrochemical students. 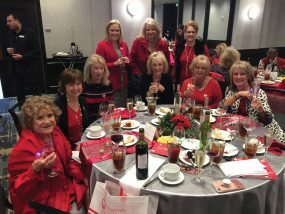 The group made its first concerted recruitment effort earlier this year at the Houston Livestock Show and Rodeo, and plans to return in 2015. Lee College and San Jacinto College host summer Energy Venture Campus, funded by ExxonMobil, Shell and other industry partners. These week-long day camps help “demystify” the petrochemical industry and introduce its career fields to middle school students. And Lee has worked with Chevron Phillips and Junior Achievement to bring 4,000 eighth graders to the campus for career explorations and discussions with business and industry leaders. Certainly, another critical element in filling the pipeline to tomorrow’s careers is qualified instructors, which are in short supply. “We are looking for experienced, talented individuals who are perhaps nearing retirement at a plant, and asking them to ‘re-tool’ for the classroom,” says Debi Jordan, executive director of the college’s premier Center for Workforce and Community Development. FB, if not, no issues just tell me and I’ll delete it. Of course, thank you for sharing.